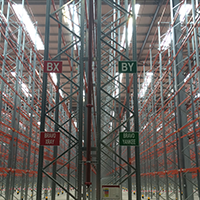 Our aisle marker signs are used in many of the UK’s busiest distribution centres to identify which aisle in the racking to head toward for the next pick or put-away. 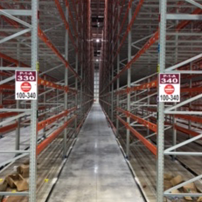 As we design and produce the aisle marker signs in-house we have access to the most suitable material for your signs depending upon their size. 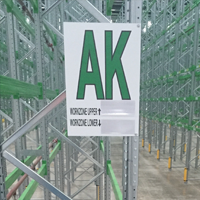 There is plenty of scope for variation on the Aisle Markers Signs to ensure that they complement your labelling system. 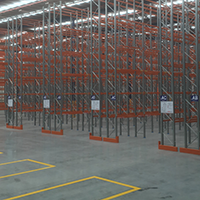 We have the facility to design End of Aisle signs in colour, monochrome, with company logos, barcodes and with alpha and numeric text, all designed to work hand in hand with you warehouse layout. If you require any advice regarding the design of your signage our experienced team are always happy to help.